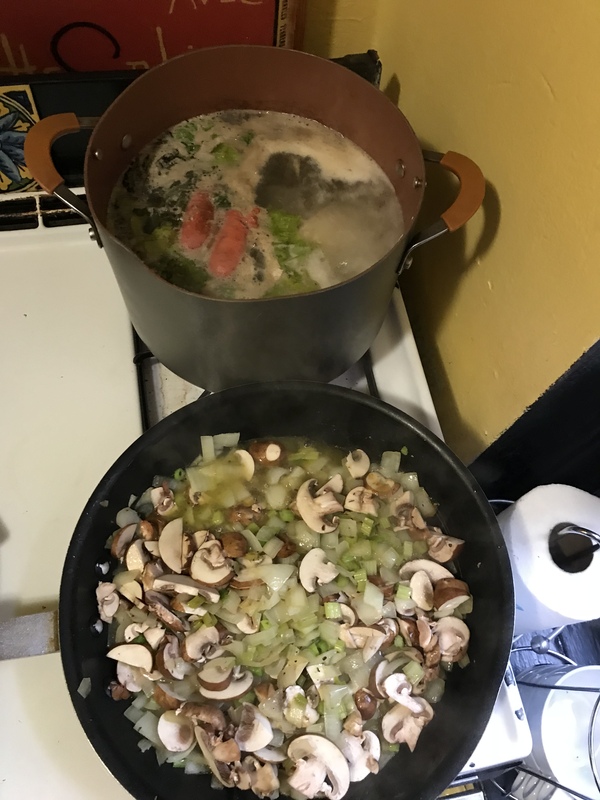 The mythical properties attributed to homemade chicken soup, an elixir of the soul and such, are true. It is truly something that is greater than the sum of it’s parts. There are few new tricks in the chicken soup world. I add fresh chopped celery leaves at the end, but I don’t pretend I am re-inventing the wheel. I buy chicken in Chinatown from a butcher the restaurants use. It comes with head and feet attached, which I use in the soup. While shocking to some, this is life in the food chain. If you want all the natural goodness that propels the $8 per cup broth movement, use the whole chicken.